On December 3, in Baku opened National Exhibition in Uzbekistan.The exhibition is organized within the framework of agreements reached during the official visit from 27 to 28 September, by Azerbaijani President Mr. Ilham Aliev to Uzbekistan. 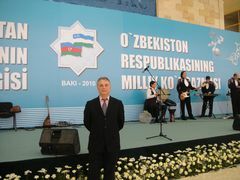 The exhibition was attended by over 170 enterprises and organizations of Uzbekistan, who presented the country's achievements in socio-economic sphere, the areas of industry, energy, communications and information technology, transport, environment, tourism, culture, folk art, health, education, sports, and about 1,7 thousand types of products manufactured in Uzbekistan. The exhibition demonstrated the stands, reflecting the achievements of various spheres of Uzbekistan's economy, historical and cultural heritage, folk art of the country. 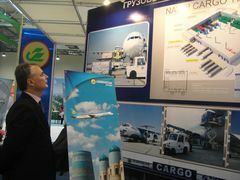 Furthermore there are presented products and services from various sectors of the economy of Uzbekistan. During the exhibition, it is scheduled to take place and a number of cultural events. 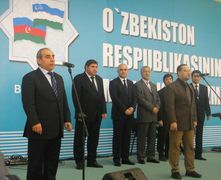 It should be mentioned that Uzbekistan is the Party to the MLA TRACECA since 1998. According to Deputy Prime Minister of Uzbekistan, Minister of Foreign Economic Relations, Investments and Trade Mr. Elyor Ganiev, National Exhibition in Uzbekistan will play an important role in strengthening relations and increasing trade between the countries.